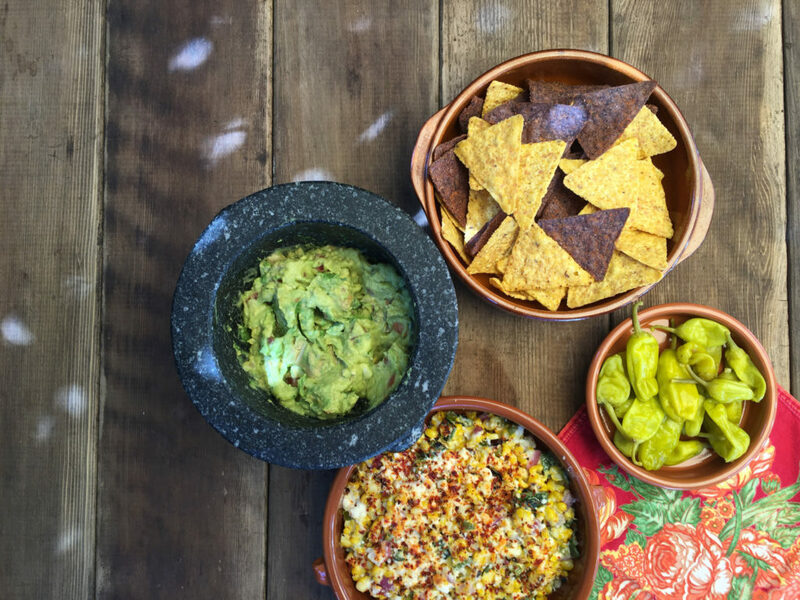 Whether you’re celebrating with a fiesta or you’re just in the mood for Mexican inspired food, here are thirteen delicious ideas you can try to spice things using Jeff’s Naturals Non-GMO products. Enjoy! 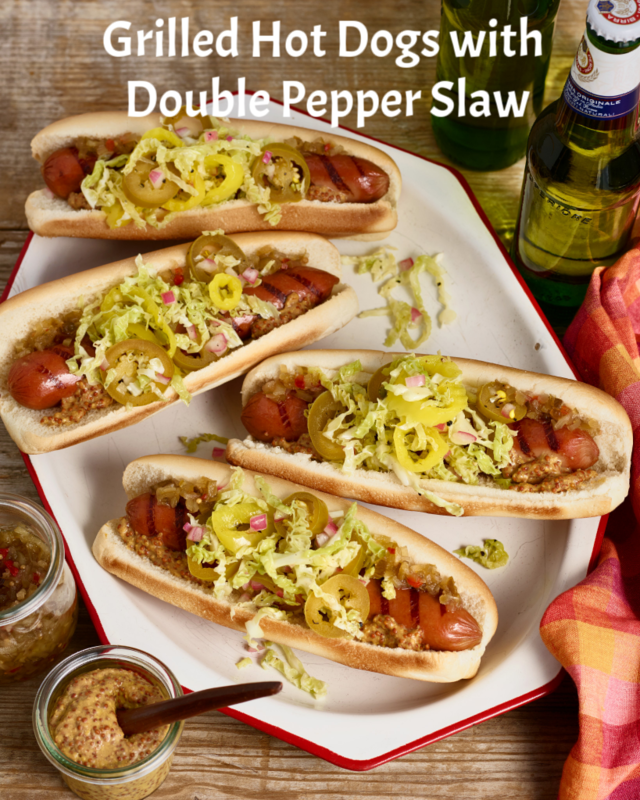 #1- Add a drained jar of Roasted Bell Pepper Strips to fajita-style beef or chicken and serve with flour tortillas, spicy salsa, and fresh guacamole. 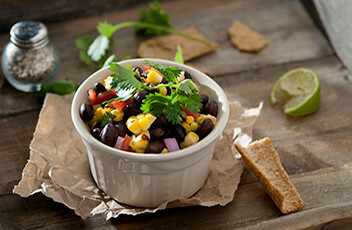 #2- Add diced Jalapeño Stuffed Olives to a Southwestern black bean salad. #3-Combine diced Sliced Hot Cherry Peppers with sour cream, lime zest, minced cilantro and hot or mild chili powder for an addictive taco dip to serve with tortilla chips. 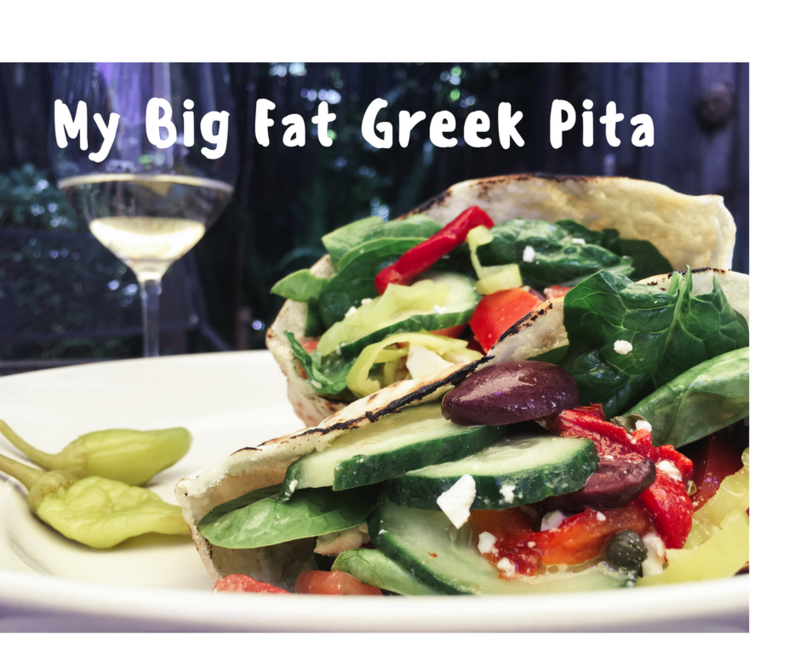 #4- Top nachos with sliced Blue Cheese Stuffed Olives or Feta Cheese Stuffed Olives. #5- Make a refreshing salsa with diced Sunshine Mix Mild Banana Pepper Rings, fresh tomatoes, onion, cilantro and lime juice. #6- Unforgettable guacamole option #1: Mash avocado in a bowl and add Diced Tamed™ Jalapeño Peppers along with diced tomato, lime juice and salt to taste. #7- Unforgettable guacamole option #2: Mash avocado in a bowl and add chopped Jalapeño Stuffed Olives along with diced tomato and a squeeze of lime. #9- Substitute your usual black olive with sliced Garlic Stuffed Olives on your next taco for a twist with some added color. 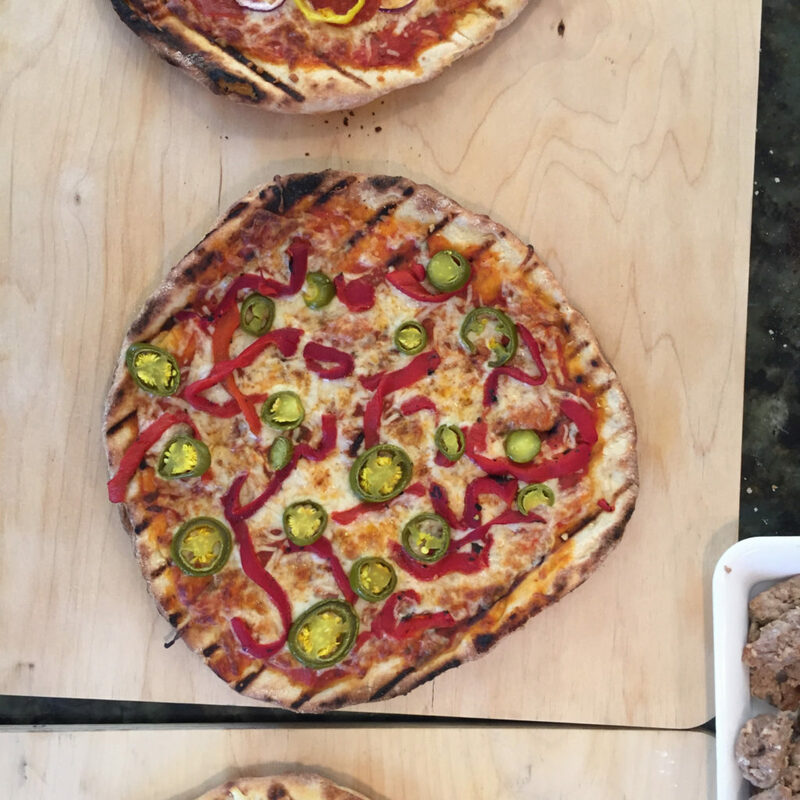 #10- Use sliced Jalapeño Stuffed Olives as a unique, spicy filling for tacos, burritos and quesadillas or as an unexpected topping for classic nachos. #11- Pour an entire jar of Sliced Golden Greek Peperoncini, brine and all, over a pork roast and braise for several hours until the meat is tender. Shred the meat and use as a scrumptious taco filling. #12- Give your margarita an unexpected pop of flavor by adding or blending in brine from a jar of Jeff’s Naturals Sliced Tamed™ Jalapeños. 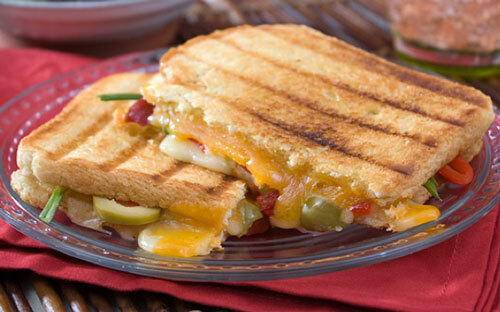 #13-Make a spicy chicken quesadilla by layering shredded cheddar or Monterey Jack cheese, sliced grilled chicken and Sliced Tamed™ Jalapeños into a large flour tortilla. 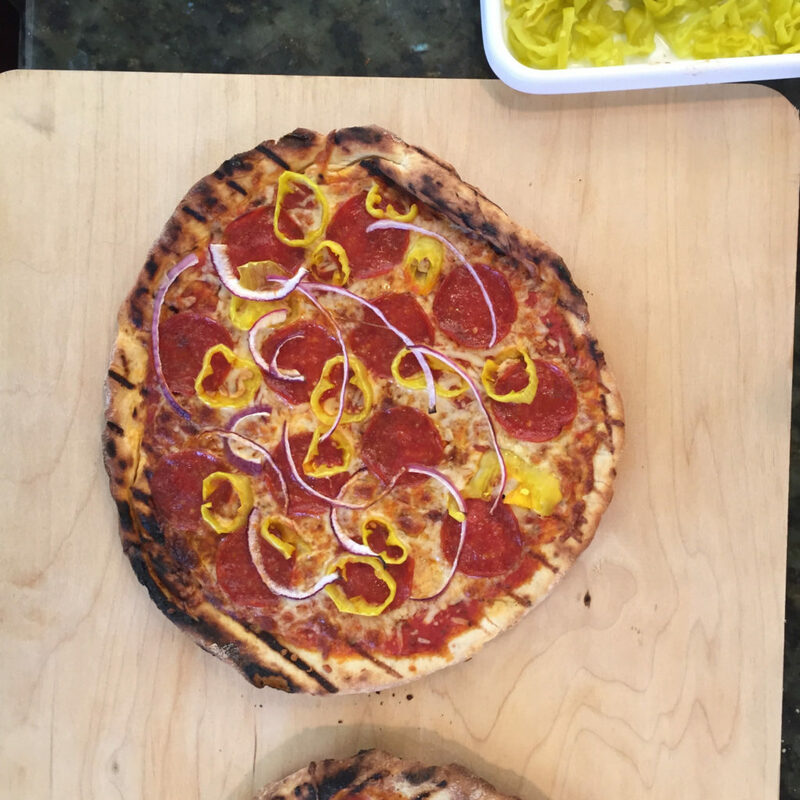 Cook in an oiled skillet to melt the cheese. 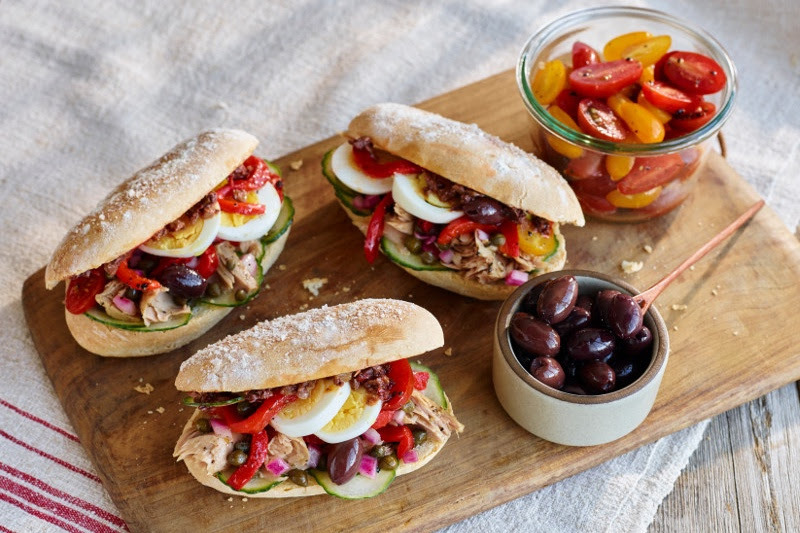 Got more delicious ideas? Share them with us on Facebook, Instagram or Twitter! 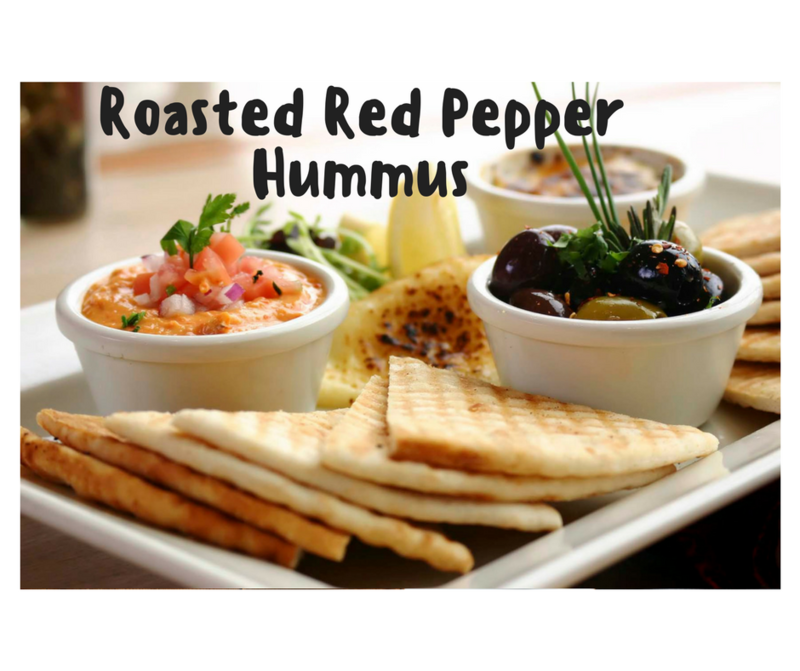 If you haven’t tried our new Marinated Artichoke Hearts, you are missing out! 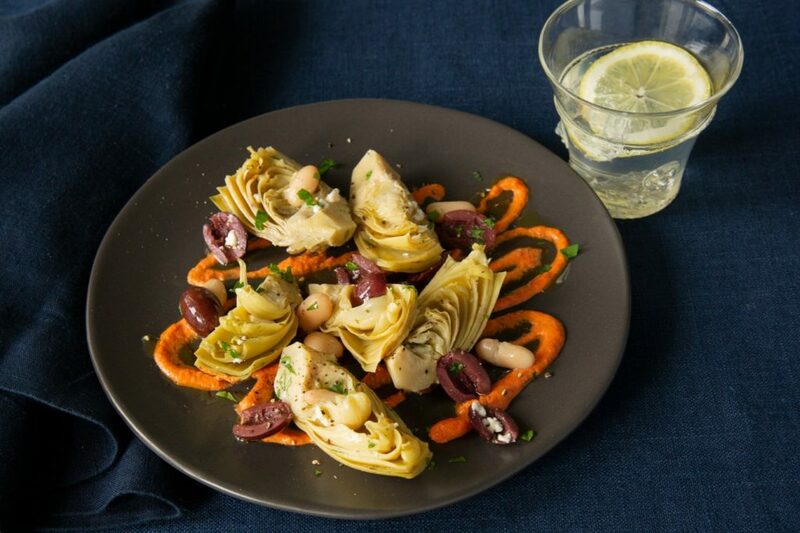 Our artichoke hearts are hand-picked for freshness and marinated in a seasoned family recipe. The result? 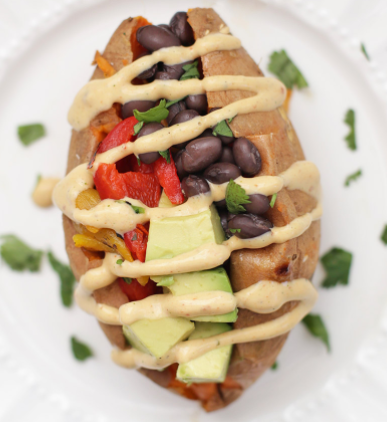 Delicious bold flavor without the hassle! 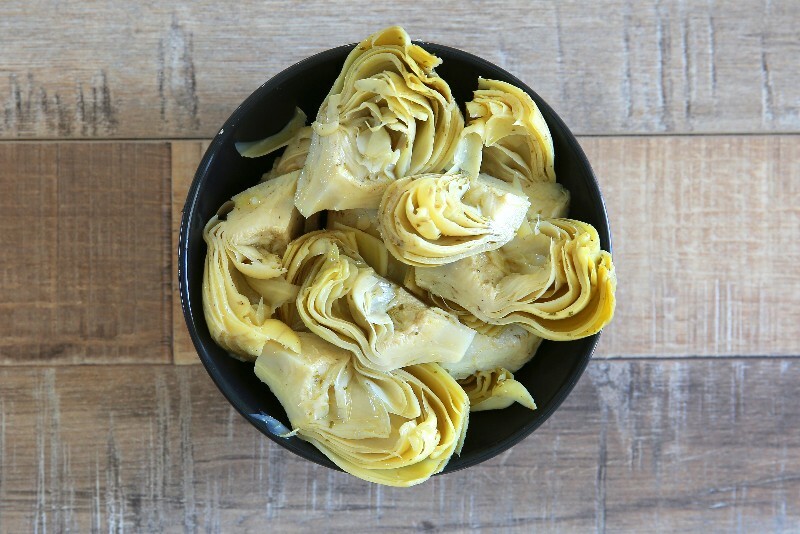 These deeply flavorful artichokes can easily be added to salads, pasta, pizza, dips and antipasti platters, or to enjoy straight from the jar. 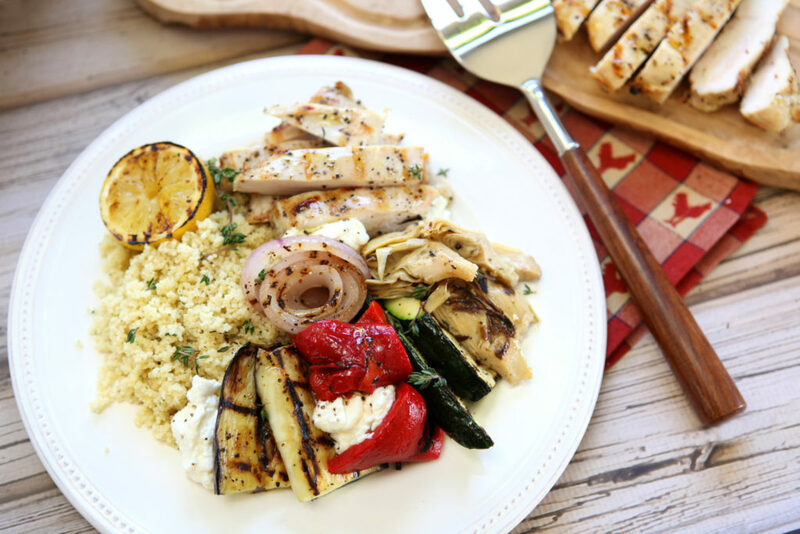 Ready to add classic, Mediterranean flavor to your cuisine? 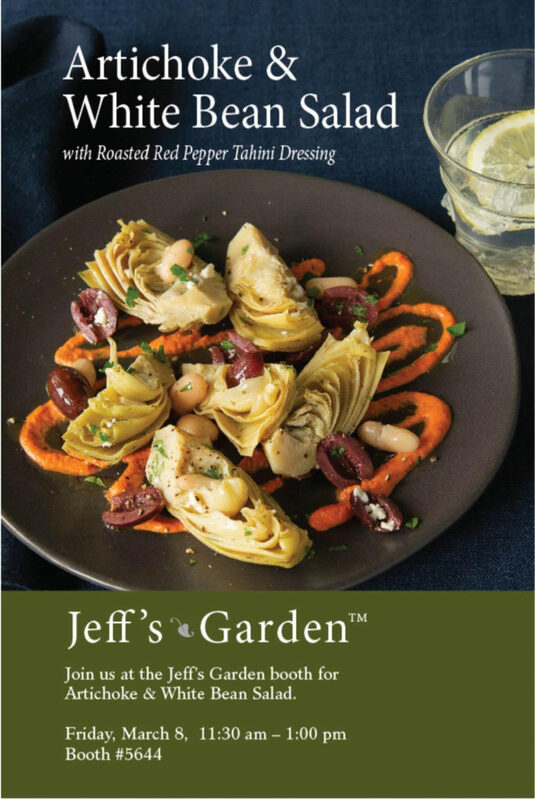 Here are 14 ridiculously simple and delicious ways Jeff’s Naturals Artichoke Hearts can make your meals even better. 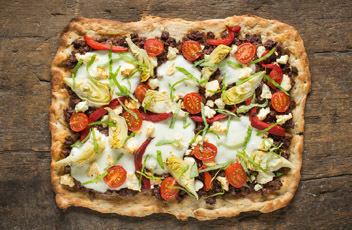 #1 Pair Jeff’s Naturals Artichoke Hearts with tangy goat cheese to top a gourmet pizza. #2 Toss Jeff’s Naturals Artichoke Hearts with chilled cooked pasta, Sun-ripened dried Tomatoes, fresh basil, lemon juice, and olive oil for a light yet satisfying pasta salad. #3 Sautée them with minced garlic, diced tomatoes, and a splash of red wine for a quick, delicious pasta sauce. #4 Add them to a fritatta along with Roasted Red Bell Peppers. #5 Stuff a chicken breast with Jeff’s Naturals Artichoke Hearts and goat cheese, coat with seasoned breadcrumbs and bake until nicely browned and cooked through. #6 Stir them into a creamy risotto, along with grated Parmesan cheese and finely grated lemon zest. #7 Mix Jeff’s Naturals Artichoke Hearts into potato salad along with fresh peas and diced red onion. 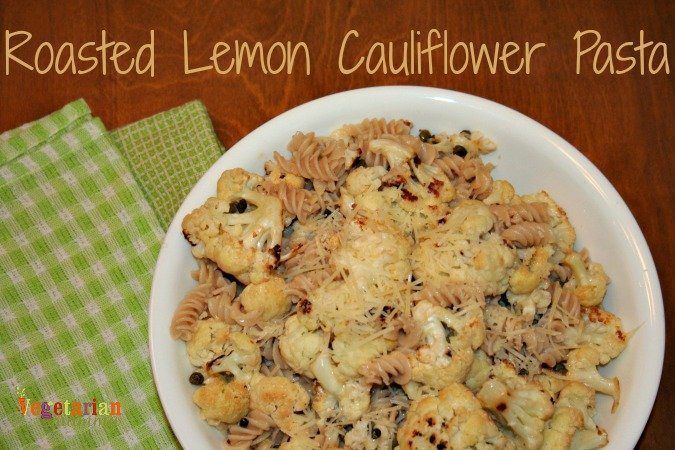 #8 Add to a simple piccata sauce of butter, lemon juice, Non-Pareil Capers, and white wine and serve over pan-seared chicken or fish. #9 Mix Artichoke Hearts with hot pasta and Basil Pesto. #10 Sautée them with minced garlic, diced tomatoes, and a splash of red wine for a quick, delicious pasta sauce. #11 Add Artichoke Hearts to an omelet along with Sun-Ripened dried Tomatoes. 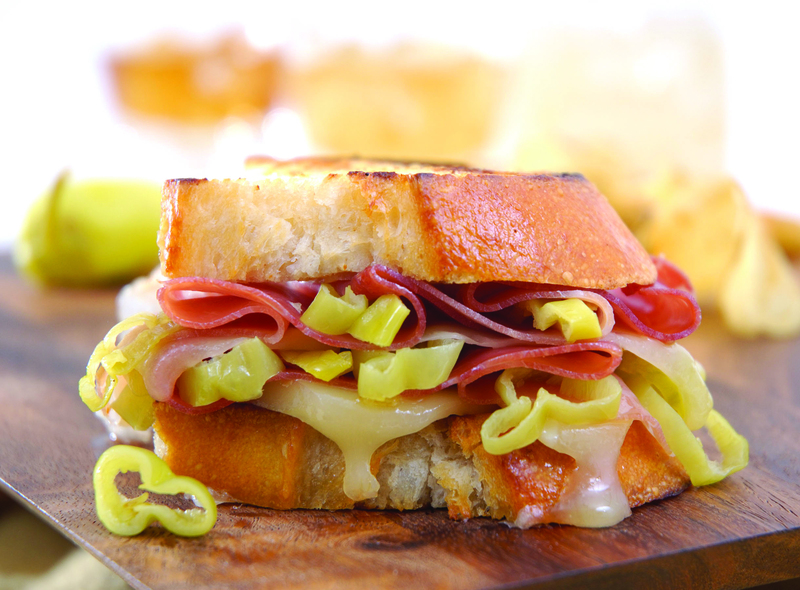 #12 Create a plentiful antipasto platter using our Pitted Castelvetrano Olives, Marinated Artichoke Hearts, Roasted Bell Pepper Strips, Whole Golden Greek Peperoncini, and assorted meats and cheeses. 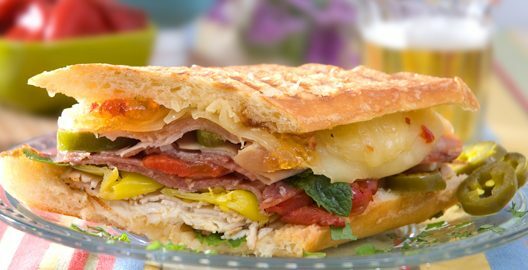 #13 Layer Roasted Bell Pepper Strips, Marinated Artichoke Hearts, fresh mozzarella, and arugula on rustic Italian bread for a killer panini. #14 Toss Marinated Artichoke Hearts with salad greens, sliced cucumber, halved cherry tomatoes and balsamic vinaigrette. 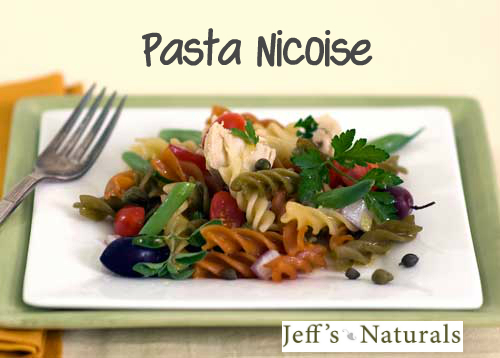 How Can I Rock Pasta Night with Jeff’s Naturals? When it comes to fast and easy weeknight dinners, pasta reigns supreme. 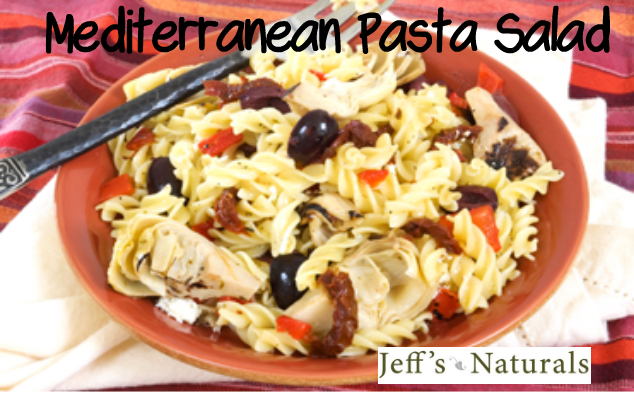 Pasta is one of the most versatile ingredients and pairs well with any of our Jeff’s Naturals Mediterranean pantry staples. 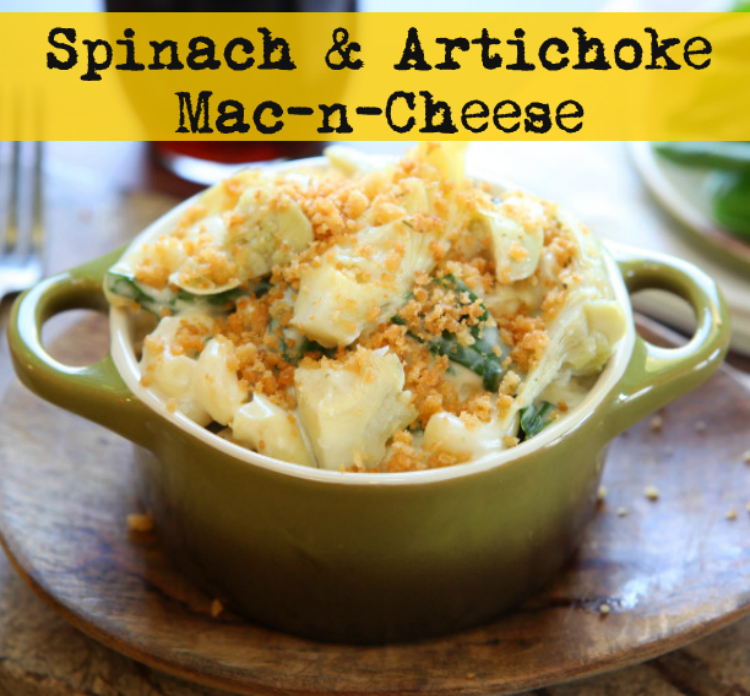 Whether it’s a light, summery pasta salad or a heaping bowl of comfort food (like Spinach & Artichoke Mac ‘n Cheese mmmmmmm) there is a pasta dish to match every mood and occasion. We put together a list of a few of our favorite pasta ideas you can put together in a pinch. In a rush? Try this pro tip from Serious Eats: You don’t have to wait for a huge pot of water to boil. Using a skillet and just enough water to cover the noodles is a better way to go. Sautée Marinated Artichoke Hearts with minced garlic, diced tomatoes, and a splash of red wine for a quick, delicious pasta sauce. For a quick, satisfying meal, toss sliced Organic Sliced Greek Kalamata Olives with hot pasta and a dash of olive oil Top with freshly grated parmesan cheese and enjoy! Add Imported Non-Pareil Capers to sautéed onions and garlic. Dice tomatoes, Greek Kalamata Olives, and anchovy filets. 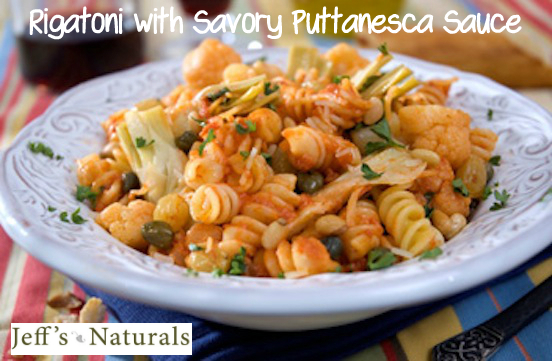 Mix together with basil and crushed red pepper flakes for an alluring Puttanesca pasta sauce. Mix Marinated Artichoke Hearts with hot pasta and pesto. Here are some more pasta recipes you may want to add to your repertoire. 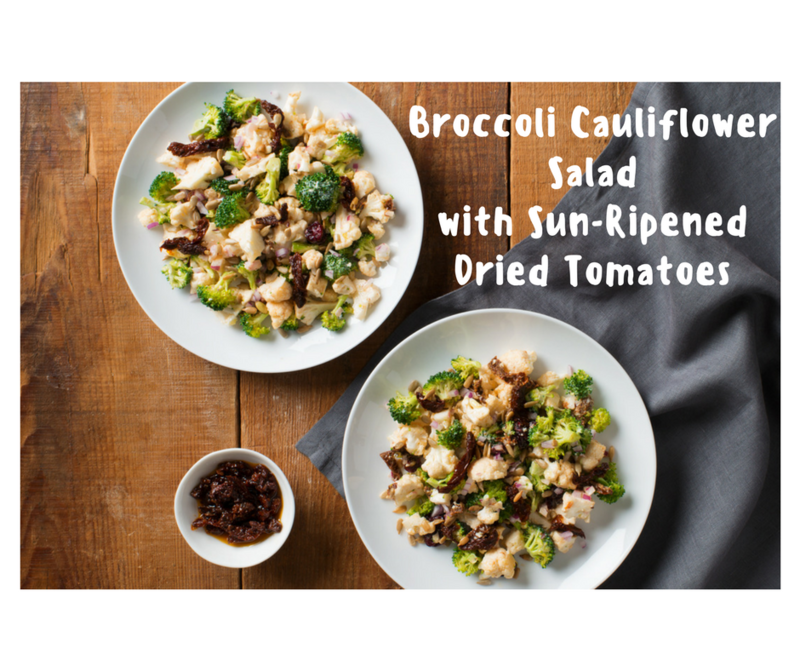 Click on the image to get the recipe. Enjoy! 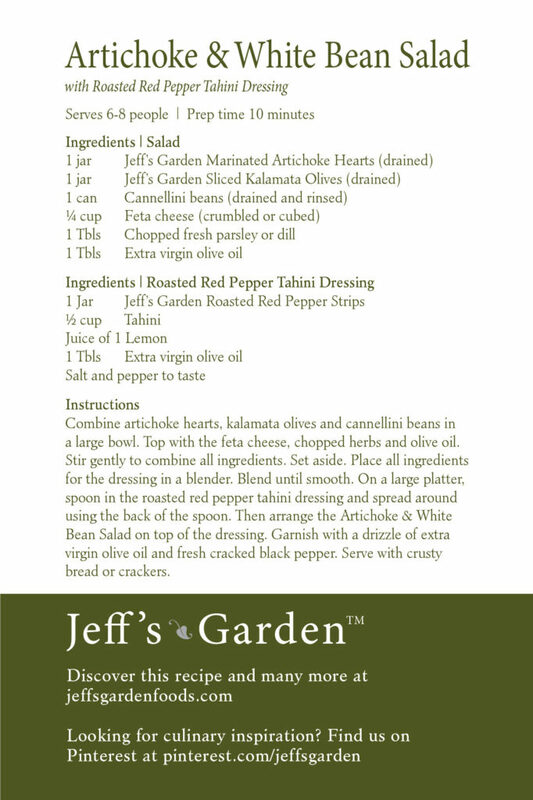 Do you have a great recipe idea using Jeff’s Naturals olives, peppers, capers or sun-dried tomatoes? 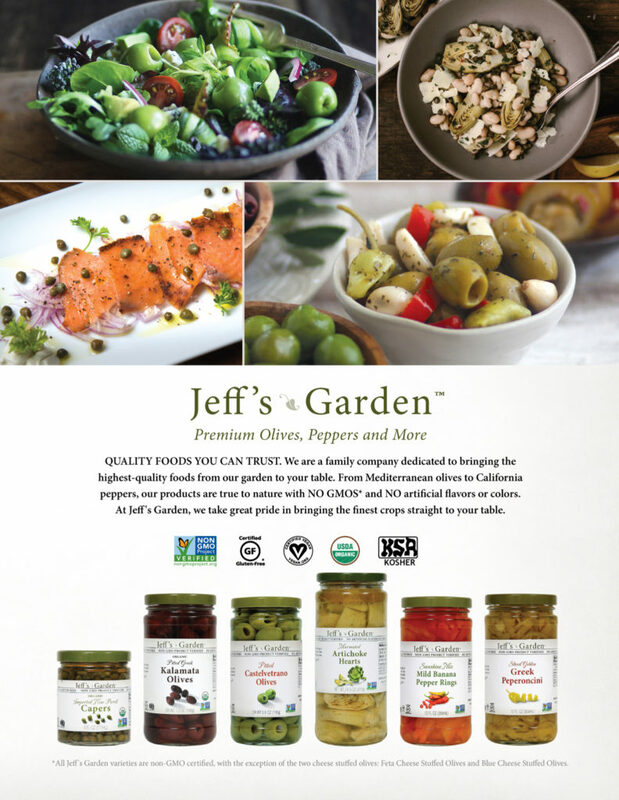 Share it along with a photo for a chance to win your share of $500 and a gift basket filled with your favorite Jeff’s Naturals gourmet olives, peppers, capers and sun-dried tomatoes. We’re looking for “Best Cocktail”, “Best Appetizer”, “Best Entree”, “Best Side Dish” and “Best ‘Next Day’ Sandwich”! Good Luck! *All entries must be original content. Copied or plagiarized material will be disqualified. 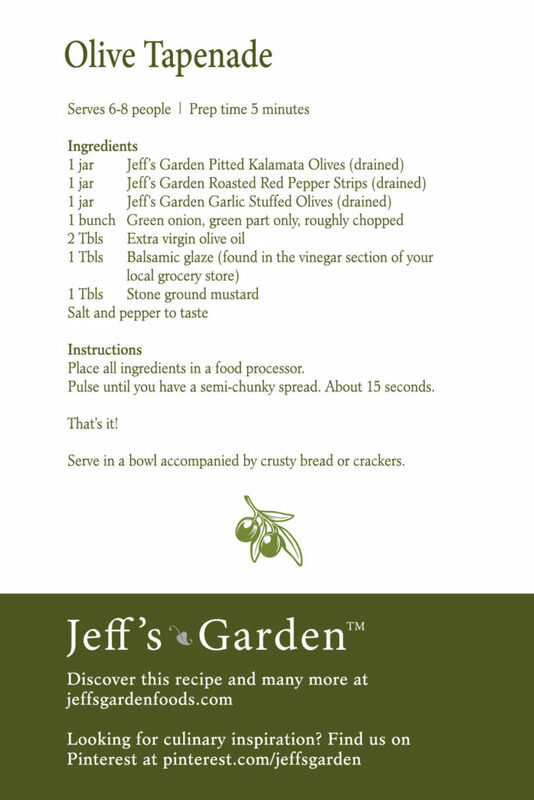 Jeff’s Naturals is Proud to Support Sprouts Cooking Club for Youth! We believe everyone deserves to eat wholesome foods with real ingredients, no matter who you are and where you came from. When we learned about an organization that invites children from all backgrounds an opportunity to learn how to cook sustainable, healthy meals for themselves and their families, we knew we had to be a part of it. Sprouts Cooking Club was launched in 2006 in an effort to teach children from all socio-economic levels the importance of wholesome eating. The program provides subsidized cooking classes and camp that pairs children with established chefs in their restaurants where they learn how to cook with real and nutritious ingredients they may not have known otherwise. The organization also hosts a Chef-in-Training Program for at-risk young adults who need a chance to turn their lives around by learning new skills. 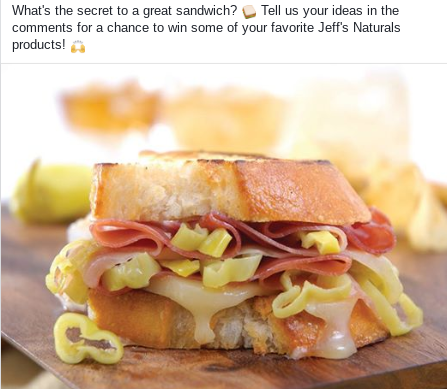 Jeff’s Naturals helped to sponsor the program back in 2016 and we’re happy to help out once again by donating Roasted Bell Pepper Strips, Imported Non-Pareil Capers our new Sunshine Mix Mild Banana Pepper Rings from our all-natural line. It’s our sincere pleasure to provide these kids access to ingredients that are certified non-GMO, gluten-free, vegan and contain no preservatives, additives, sulfites, artificial colors or flavors. To learn more about this program or see how you can help, please visit www.sproutscookingclub.org. Want to really “WOW” Mom on Mother’s Day this year? You can never go wrong with breakfast in bed or a delightful brunch! 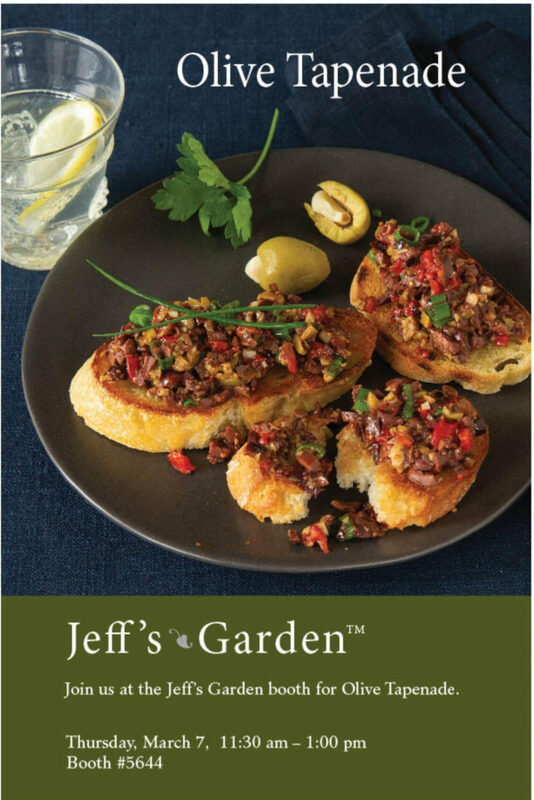 The chefs have been hard at work in the Jeff’s Naturals test kitchen creating new ways to enjoy our delicious all-natural line of olives, peppers, artichoke hearts, capers and sun-dried tomatoes. 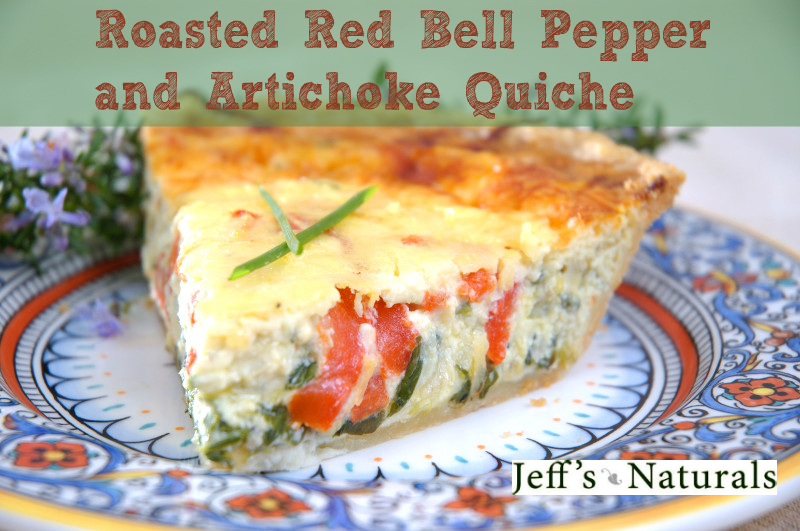 Here’s a delicious quiche you can make this Mother’s Day with our Roasted Bell Pepper Strips and our new Marinated Artichoke Hearts! As an added bonus, Mom will love the fact this quiche is made with our certified non-GMO ingredients with no preservatives, additives, sulfites, artificial colors or flavors. Just pure & delicious food for the woman who deserves it the most! 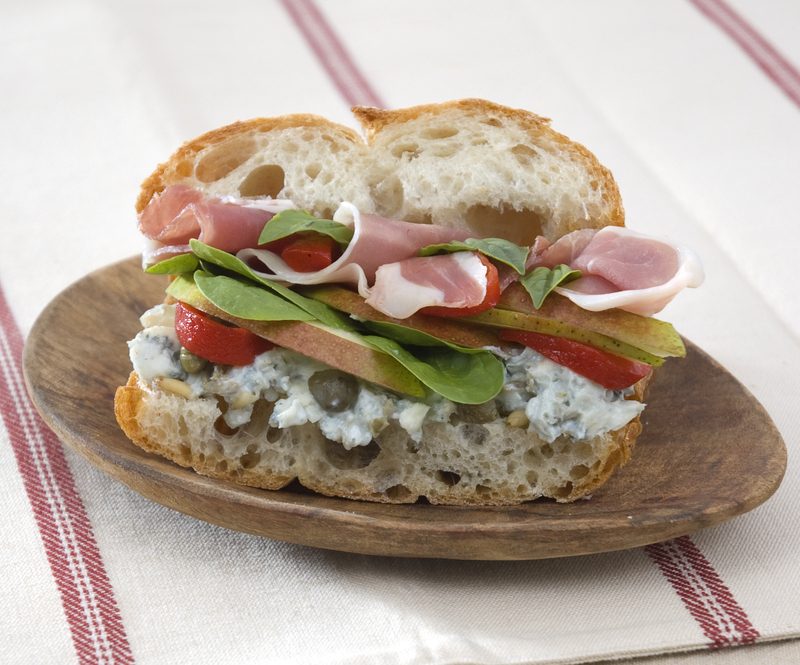 Serve this with a tasty fruit salad and a flavorful Bloody Mary for a knock-out Mother’s Day Brunch she’ll appreciate for years to come. Chop artichoke hearts and brown lightly in a pan on medium heat for 5-7 minutes. Set aside to cool. 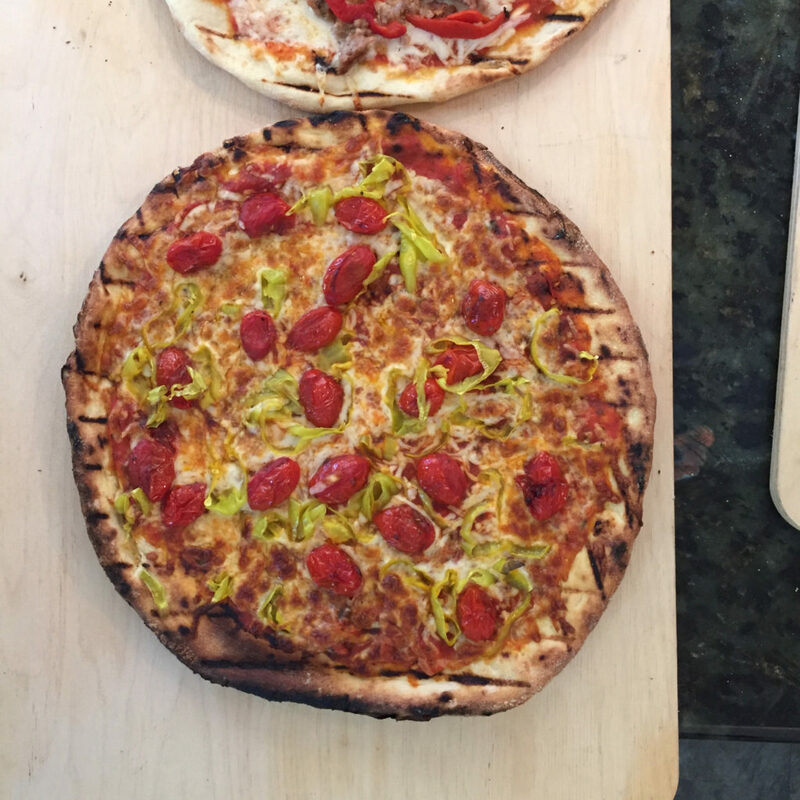 Cut roasted red bell peppers into ¼ inch by 1 inch long slices. Set aside. Time Saving Tip: Make the evening before and warm it up the next morning for a delicious and lovely Mother’s Day surprise! When you are ready to re-heat the quiche, preheat your oven to 350 degrees F. Place the quiche in the oven for about 15 -20 minutes or until the center is warmed through.